The Solar Panel uses mono-crystalline cells. Of the three types of technology on the market this type is known to be the most efficient. .It is comprised of 2x 80W hinged panels. The Charge Controller is designed to provide fully regulated output for controlled charging from solar panels to Lead Acid, Sealed Lead Acid, AGM and Gel Batteries. The carry bag that comes with the SP160W Kit fits snugly over the panels to protect them from scratches and dust. Evakool 50 Amp In Car Wiring Kit, 1 year warranty. When using an Evakool fridge it is imperative to have heavy duty cabling installed in your vehicle. This is to ensure that when your fridge tries to draw current down the cable there is no voltage drop. Unfortunately the wiring that comes standard in vehicles is never up to the standard that is required for a compressor fridge. Luckily Evakool has now introduced a product into its range to solve this problem. There are more than enough plugs on this unit to not only run your fridge but also some other devices such as camping lights and mobile chargers. This pack also includes enough cabling to get from the front of your vehicle all the way to the back with a 50 Amp auto resetting Circuit Breaker pre installed. It is 8mm thick which almost eliminates any voltage drop in your 12 volt system. The kit also includes some easy to follow instructions. All you need to do is pick a dual battery and an isolator (refer to your auto electrician for the best products for your needs) and you are now ready to install the best possible power system for your Evakool portable fridge. "Great product & customer service "
I bought this for a gift for my husband. This is a fantastic fridge and we are so happy with the product. The price was great and very reasonable compared to other better known brands. The quality of the fridge is very good, as good as the better known brands. Shipping was super fast and customer service was excellent. I would buy from this online shop again. To top it all off we got the free little Kool box ...which is now mine. When I was looking I was able to ask questions and get answers immediately. I even called and asked a question. The people helping me were so helpful and knowledgeable. It was an easy shopping experience. Thanks so much. "Superb fridge, great service "
Never owned a portable fridge freezer, but had read reviews for the travelmate, and the price i got from mygenerator could not be beaten. Have used this 3 times now, very quick to get to freezing temperature. Kept food frozen for the 3 days we were gone. The other times i have used as a fridge and i cannot fault it. Uses very little power, and i highly recommend anyone that looking for a camp fridge freezer. GET THIS ONE, and you will find Mygenerator are if not the best price, they will match better price. Fantastic prompt service, with exceptionally quick delivery. Great product and service, even better delivery times. "Highly recommend this fridge for family camping trips"
I have had the fridge a month now and used on a couple of camping trips. The 65L versions takes up a fair bit of space in the back of the prado, but they are a great fridge and you can fit all your food in for a few days camping. Runs quiet and smooth. Draws about 0.7-0.8 amps in ambient 26-28 degrees which is good for a fridge of it’s size. I’m sure it will draw a bit more in warmer weather. The lid on the fridge i received was poorly finished but evakool replaced this for me straight away. Overall I highly recommend, especially considering the 5 year warranty. Fast and easy. Best price around for the product. As stated above ''so far so good'' I especially like the app which tells me how the fridge is going. Recently I used the fridge on a 7-8 hour trip from Central Queensland to Goondiwindi to help the Father in-law with shearing. The ease of access thanks to the lid opening from both sides gave me options when loading gear into the back of the Subaru. I will get to use the fridge again next weekend when I travel from Rockhampton to Agnes Waters to go fishing and will test out its freezing ability fingers crossed we get a few fillets. I ordered the product online over the Australia Day long weekend and was surprised to get the fridge within a few days thereafter. 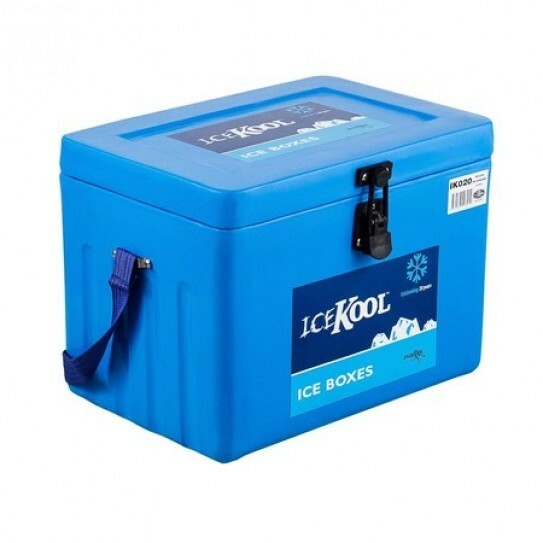 Currently FREE with the Evakool TMX 65 Litre Fridge Freezer Pack is a Evakool Icekool 20 Litre Icebox! Evakool TMX65 Travelmate, 65Ltr Side Opening Fridge Freezer including protective cover, 5yr warranty. TMX Travelmate, the fridge for people on the move. The TMX range from Evakool is now also Wifi Enabled! - This allows you to control your Evakool Fridge from your iPhone or Android Device! Simply download the Evakool App (available from App Store and Google Play) so you can set your fridge's temperature directly from your smart phone, as well as monitor fridge temperature and voltage. Fridge or Freezer with dairy compartment. Removable Basket. Deep enough for standard wine bottle / 2 litre soft drink bottle to stand upright. 5 year no fuss warranty. Nation-wide service support. Note that average power consumption data depends on things such as ambient temp, compressor speed (fridge setting), temp of contents in fridge. Fantastic, great delivery, easy to use checkout ! Love it meat frozen, butter just right, wife very happy and to top it off the beer was just perfect. Easy to use, works great, keeps temperature well. Great size little esky for day trips and the fridge is spot on perfect. It didn’t say it in the product description but the fridge does come with a cover. My Generator was spot on with the products and shipping was very fast definitely shopping here again. Thanks heaps. I actually downsized to the TMX55 because the 65 didn’t fit in my camper trailer. Great quality for a great price, extremely happy with the service that was provided. Both MyGenerator and Evakool took care of everything and I had the 65 picked back up and then the 55 sent out to me quickly. Couldn’t be happier with the experience, very reliable and easy, the blokes I spoke to were very helpful. Great value for money, more than meets my expectations and very efficient. The customer service is exceptional, would highly recommend. So good I purchased a second for a family member. The Evakool 65L is great bang for buck as it comes with the protective cover. So far we have had one week away with it and it maintained temperature perfectly, I could also check the performance via the Evakool app on my phone. Controls are also easy to use, the kids adjusted it easily. Excellent customer service, I had made a mistake on my order which was rectified instantly when I notified them. From time of order to delivery was 2 days. Great product! Gets down to temperature fast. Uses very little power. Perfect size to fit all food and drinks for days. Easy. Fast shipping. Best price I could find online. Will definitely be shopping with them again! Glad that I shopped around, great value very happy! Easy and simple, very fast delivery to Tasmania. Glad I shopped around as this fridge is just as good or better than other brands which are a lot more expensive. Q:Regarding Evakool Portable Fridges; what is the difference between the TMX Travelmate models and the Supakool models? Hi Luke, great question: these two portable fridge ranges from Evakool are very similar. Aside from the above points, these two ranges from Evakool are very similar: they both use a Secop (Danfoss) Compressor, have internal LED lights, USB charging ports, removeable baskets and come with a 5 year warranty, backed by a national service network. Both of these ranges also include a FREE fridge cover to help protect your fridge and help with insulation. Overall, we would sell more of the TMX Travelmate models: this range has more sizes to choose from and are considered the 'all-rounder' of portable fridges, suitable for camping, boating, work utes, market events and more. Those customers that prefer a metal exterior and fixed handles opt for the Supakool models. Q:Does the Evakool portable fridge have an Anderson connection or come with the Anderson cord? The Evakool portable fridges come with the standard "push in" connection to the fridge unit, out to a car cigarette lighter connection. These can then be connected to a lead with the Anderson connection via an adaptor. These adaptors do not come with the Evakool fridges. Q:There are a few different types of Evakool portable fridge ranges - can you explain some of the main differences between them and the recommended/ideal type of use for each Evakool range? Evakool Fibreglass range: These are the premium offering from Evakool and their fiberglass material mean they have exceptional insulation and will always perform very well, even in extremely hot environments. No need for an external fridge cover. They will reach desired low temperatures quicker than plastic cabinet fridges. The fiberglass material also makes them easy to clean and they will not absorb any smells - they are consequently popular for fishing requirements, among many other uses. Evakool make these models in Australia and they come with a 5 year warranty. Very popular for camping, caravan/camper trailer trips, 4WD'ing and boating. You will pay slightly more for these models, but the benefits are very compelling. Evakool Fridgemate range: These models are built tough with an extra thick polyethylene exterior making them perfect for tradesmen, farmers, hunters etc. You can place these in the back of the ute and not worry about other objects hitting and damaging the exterior of the fridge. They are very robust. The height of the fridge’s are also designed with the height of a ute tray in mind. Popular in the bush and rural locations where the fridge may be exposed to rougher rides in the back of the ute/truck/work vehicle. This range is also made in Australia and comes with a 5 year warranty. Evakool TMX Travelmate range: This range represents the ‘all-rounder’ of portable fridges and offers great value for money. For several hundred dollars less than other similar competitor’s models, you get a high quality portable fridge-freezer with a 5 year warranty and each model comes with an insulated fridge cover included. They are lightweight, compact (with drop down handles) and use the universal Danfoss (Secop) compressor, which is a proven compressor brand within the portable fridge industry. These fridges are used for just about everything: boating, four wheel driving, caravan/camping adventures, picnics, small events, mobile businesses etc. Evakool TMDZ Travelmate range: This range is the newest Evakool range on the market. These fridges are a step up from the above TMX Travelmate range, in that they are Dual Zone fridge freezers and feature two seperate compartments. This meaning they can be a freezer in both compartments, a fridge in either compartment or a freezer on one side and a fridge in the other compartment...the choice is yours! These fridges still feature the Danfoss (Secop) Compressor, are made of polypropylene, Wifi enabled and are multi-voltage. All of this, plus this range features a unique lid design which enables the lid/lids to be opened from either side or removed completly, all in one action! There's no wonder these fridges rival the Dometic CFX range. Evakool Glacier Range: This is one of Evakool’s ranges that have a lower 2 year warranty, which brings their price down and therefore they make an enticing value proposition. The majority of the Glacier models have metal cabinetry, making them tough on the exterior. Customers that will use their fridge in the back of vehicles and likely expose the fridge to being knocked about a bit will sometimes prefer a metal exterior. The metal material does make the fridge heavier, however. This range have some popular larger dual zone models, whereby the zone’s temperatures can be separately controlled to run either as a fridge or as a freezer. Often used in camper trailers as the range has sizes which fit neatly in typical camper drawer openings. Evakool RV Range: This range is similar to the above Glacier range in that most models (the larger units) have a metal cabinet and a 2 year warranty, except the models are all single tubs. This range is suited to the budget conscious that just wants a single tub/compartment to run either entirely as a fridge, or entirely as a freezer. A simpler range than the abovementioned ranges that mostly have models with dual compartments. If you just want a single zone, no-fuss, good value portable fridge, then this range is worthy of consideration. Our bestselling ranges from Evakool are the: Fiberglass models, the TMX Travelmates and TMDZ models, and the Glacier models. Overall, we have no hesitation in recommending the Evakool brand: they are an Australian company who take pride in manufacturing and distributing high quality portable and upright fridges for the recreational vehicle/travel market, that have been thoroughly tested to perform in the Australian environment. Their fridges will keep your drinks cool, your food fresh and meat frozen when required. Their entire range is backed by a nationwide service agent and spare parts support network – meaning you are in safe hands for any warranty repair or spare part requirements. Cheers! They also offer two in the Glacier range, the Glacier 74 Litre G75-DX-DL and Glacier 89 Litre G100-DX-DL. All of these models feature separate compartments, two lids (except the 43L, 51L and 62L), and most importantly a dual zone circuit cooling system; meaning they can be a freezer in both compartments, a fridge in either compartment or a freezer on one side and a fridge in the other compartment...the choice is yours! Q:Do the Evakool portable fridges run on AC 240 Volts main power also? Hi Greg, good question. Evakool have a few different ranges of portable fridges, some that will operate on either DC 12/24 Volts as well as AC 240 Volts mains power. Then some of the Evakool ranges have just 12/24 Volt DC plugs - in this case, you can still run the fridge from 240 Volts mains power, you would just need to use a Power Adaptor which converts 240V down to 12V to run your fridge. This kind of adaptor is popular for when 240 Volt AC mains power is available and you want to run any 12 / 24 Volt DC appliance. - Evakool TMX Travelmate Fridge Range: 12/24 and 240 Volt built in. - Evakool TMX TMDZ Travelmate Fridge Range: 12/24 and 240 Volt built in. - Evakool Glacier Fridge Range: 12/24 and 240 Volt built in. It is recommended you double check the specifications on the product page for each fridge model to get the most up to date product spec information. Many Thanks. Q:What type of compressor do Evakool portable fridges use? Evakool portable fridge / freezers feature a SECOP compressor (formally known as Danfoss compressors). This compressor is the most commonly known on the market and is found in Evakool, Camec and Bushman portable fridges. Hi Trevor, yes the TMX and TMDZ range from Evakool is now Wifi Enabled! - This allows you to control your Evakool TMX Fridge from your iPhone or Android Device! Simply download the Evakool App (available from App Store and Google Play) so you can set your fridge's temperature directly from your smart phone, as well as monitor fridge temperature and voltage. Cheers!